I was at a customer site and I needed to build a ThinPC, so I downloaded the ISO and asked one of the guys if he good burn it so I could start the ThinPC image build process. Then he replied with “We don’t burn ISO’s anymore that’s so 1990’s”. I thought well sure if your using virtualised machines but for physical hardware ??*? He then showed me his ZALMAN! now calm down that’s not a euphemism, it’s a drive enclosure with a LCD screen. 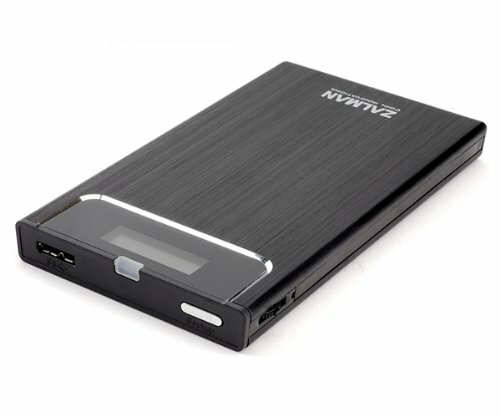 The beauty of this drive enclosure is that there’s some on board intelligence that allows you to present a stored ISO as an external CD/DVD drive. Brilliant idea, all you do is select the ISO file that’s on the drive and it turns into an external drive with that disk mounted. Great for building servers, workstations or anything that requires a bootable CD. Server engineers could have all the Hypervisor versions on it and techs could have HirensBootCD and the like. Apparently it can mount VHD’s as well but I’ve not tested that. Anyway I went and bought one as they were so good and at around £35 it’s a bargain! Please see the link to them below. Watch this video, it shows just about the coolest way to put out a fire. Its the boating equivalent of using planes in bush fires. Really Cool. This actually works. Basically it vibrates your iPhone 5 at the actual speed required to make the phone vibrate. You need to make sure the surface is clean and level. Theres no shortage of images from the International Space station but these once created by stacking image sequences provided by the Crew. I suppose they’ve got nothing better to do with their time. I personally like the star trails, its all very Si-Fi. Dad lets baby fall from car and then jumps from moving car to save her! A Chinese father who hadn’t secured their toddler in their child seat almost paid the ultimate price in this incredible video. The baby girl managed to clamber into the front seat and open the passenger door, falling into the road in front of a following vehicle narrowly missing her dads wheel. Incredibly the father having just realised his daughters mis-fortune, jumped from the moving car to her aid. The car then proceeded to drive for 30 feet before hitting a tree. Apparently she escaped with minor bruises. Mother Heather Baltzor didn’t think dressing her 13-month-old son, Jack, as a Zebra for his first trip to the Oregon Zoo in Portland would be such a hit with the inmates. The video, shot by the family, shows the lion scratching, clawing and lunging at Jack but never leaving a mark on him, thanks only to the thick glass separating the captive lions from curious onlookers. Lets hope that glass continues to hold! This is mad, they’re going to take over the world!!!!! This video shows a film split between 3 iPhones and choreographed to create this cool effect.